Gator Frameworks has added two new accessories to the lineup, perfect for customising your microphone setup. The new GFW-MIC-CLMPBM9 is an adjustable angle clamp-on mini boom that can securely attach to any tube diameter ranging from 15mm to 22mm. 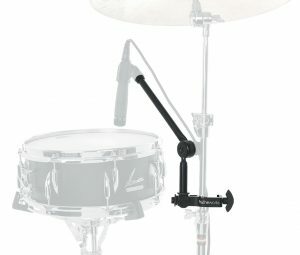 The clamp-on style boom is a great space saver when using a second microphone stand is not an option. As an added bonus the system clamps onto most desk surfaces as well. 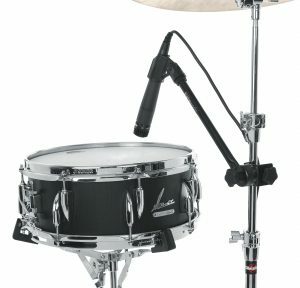 The GFW-MIC-MINIBM9 is an adjustable angle, fixed mini boom with 5/8-27 female threads to attach to a standard microphone stand. The threaded style boom is perfect for placing a microphone in a tight space, and includes a 3” riser on the threaded adapter for extra height and clearance. Both of these microphone stand accessories provide a 9” reach to the end of the boom for ample distance. The angle adjustment clamp’s interlocking teeth securely locks the boom angle in place while allowing 270 degrees of rotation for perfect placement. The GFW-MIC-CLMPBM9 and GFW-MIC-MINIBM9 are available from authorised Gator Frameworks dealers.